Take a guided tour of Edinburgh and listen to remarkable stories on a unique 16-seat convertible mini-coach. Venture down streets the bigger buses can’t reach, enjoy panoramic views in every weather, and meet a few of the famous locals along the way. 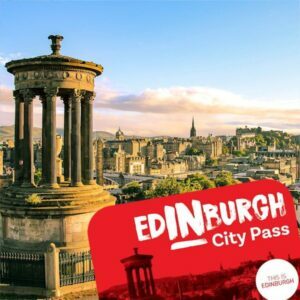 Join Rabbie’s city tour and get a new view of Edinburgh. Princes Street – Travel along this street and learn about the Scott Monument and the Princes Street Gardens. Grassmarket – This area offers fantastic views of the castle, stories of ancient crimes, and many old-fashioned drinking spots. The Old Town – Listen to the tales of ancient Edinburgh in the oldest part of the city. The New Town – This part of the city has stunning architecture, and the historic home to the country’s finest writers and inventors. Dean Village – A hidden-away place that feels more like a cosy village than a capital city. Holyrood Palace – Venture past the beautiful palace situated at the bottom of Arthur’s Seat. Tours departs every day at 09:45, 12:15 & 15:15 – Edinburgh Waterloo Place, at the Rabbie’s bus stop opposite Howies Restaurant. Tour lasts around 2 hours. It’s best to arrive ten mins early – simply show your City Pass for free entry. 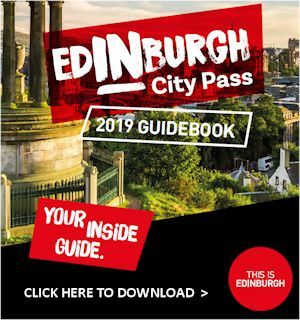 English language audio guide describing Edinburgh from a locals perspective. Not suitable for children under five years of age.